Height from the floor to the entrance hole is right at 7 3/4 inches. 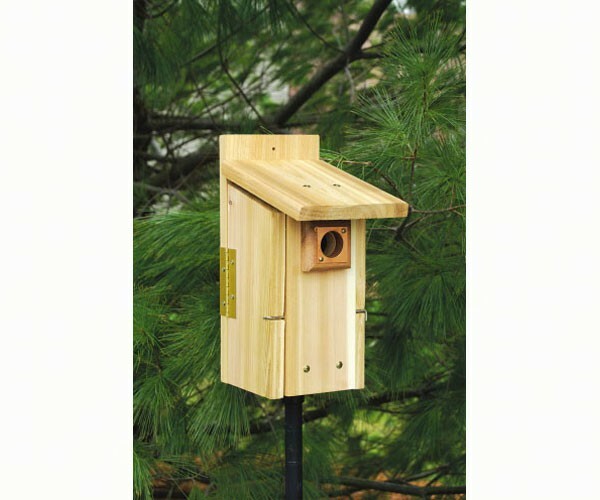 Includes nest lift and portal protector. Portal protector is great for keeping hole protected from being chewed by squirrels.